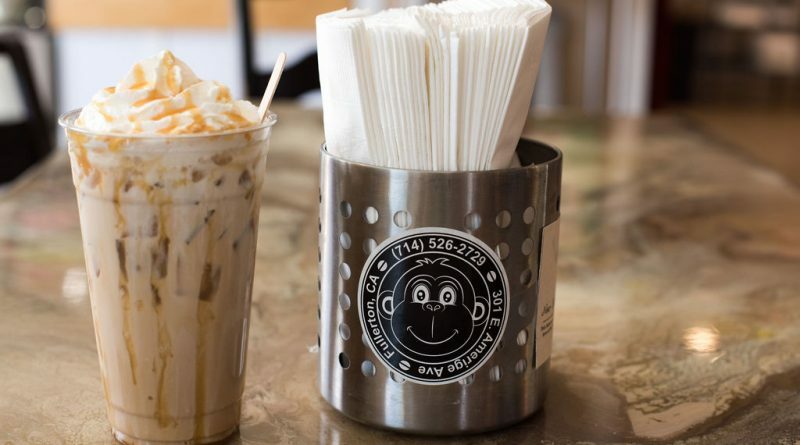 Located just two blocks away from Fullerton College and Downtown Fullerton is Monkey Business Café. The interior is furnished with tables that don’t match their chairs, and chairs that don’t match other chairs. While the cuisine is delicious and the coffee is superb, Monkey Business goes further than filling guests with food. 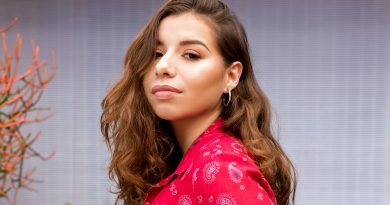 Every year, more than 23,000 children age out of the foster care system, according to the National Foster Youth Institute. After reaching the age of 18, 20 percent will be instantly homeless. Aside from not having a place to call home, many foster youth are on their own both financially and emotionally. But Monkey Business plans to change that. The café is a workforce development program of Hart Community Homes, a public charity that runs two foster homes for boys aged 13 to 18. “We have the training programs designed so that we can employ foster youth and at-risk youth,” says Carissa Hart-Bunevith, executive director of Hart Community Homes. Monkey Business gives their foster employees a taste of what it’s like to have a job, responsibility, and stability. With donations and grants, Monkey Business opened its doors in 2005 with only a blender, deli case, and microwave. Over the years with community support, it has become a full-service restaurant and a place where many children’s’ lives would be changed. Monkey Business also collaborates with STAY Process, Pathways, and Waymakers––recovery programs that help people reintegrate into the community through housing and therapy. Monkey Business organically grows their fruit and vegetables in the Arboretum at CSUF with the collaboration of U-ACRE, a community-based research experience for CSUF students. The collaboration aims to plant and prepare nutritional food through sustainable urban agriculture. Monkey Business foster youth, arboretum staff, and U-ACRE students all work together on the farm, where the newly-employed youth are trained on how to plant and grow vegetables. They then take the food to the café’s kitchen and use their culinary skills to prepare dishes for their customers. Monkey Business also works with U-ACRE at the nutritional lab in the Anthropology department at CSUF, where the youth can learn about the fruits and vegetables they’ve cared for and create recipes for dishes at Monkey Business Cafe. “It is a collaborative effort in every process and creates relationships that foster healing and empowerment,” Hart-Bunevith says. 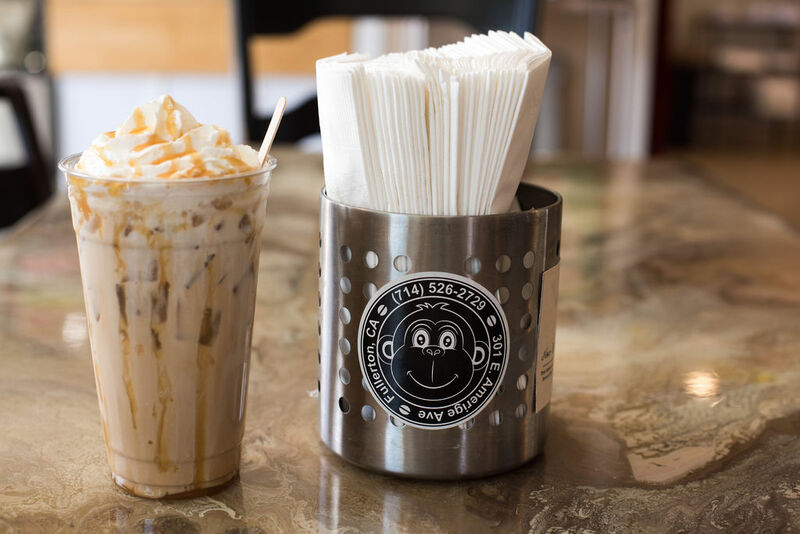 Monkey Business diner Emily Godinez, an undergraduate student at CSUF, was taken aback when she found out what the restaurant is doing. She’s now a repeat customer of the cafe. For Jeremy (last name withheld), a server at Monkey Business for four years, the café became a place for him to thrive. As for their food, Monkey Business offers a variety of dishes, from traditional pancakes, with eggs and bacon on the side, to skillets, omelets, waffles, and chili cheese fries. They also serve turkey club sandwiches, BLTs, burgers, salads and pasta. They even have their own product line with seasoning salt, blackened coffee rub, and seasonal items such as pickles. 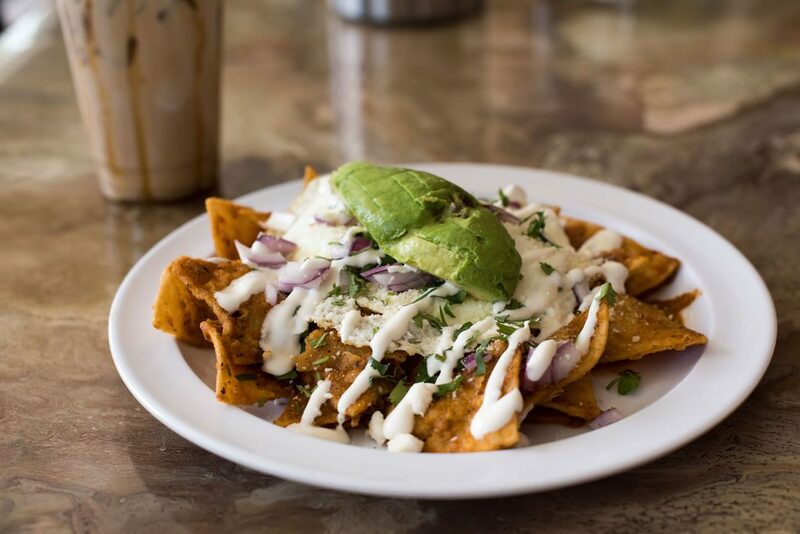 But if you don’t know what to go for, the servers recommend the chilaquiles.